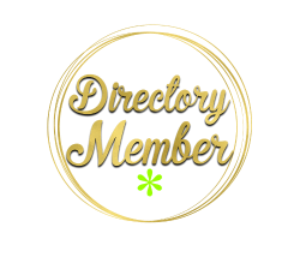 This Post Contains Affiliate Links which means I may receive a small commission if you purchase products through my links – this is at no additional cost to you and helps me meet the cost of running this website. Ear wax, we've all got it and that's a good thing! Cerumen is the proper name for ear wax, and it is a substance that the human body naturally produces. But what is ear wax? What the heck is it made of? Ear wax contains long-chain fatty acids, both unsaturated and saturated, as well as cholesterol, squalene, and alcohols. Your ear canal is an instrument designed to detect sound and translate it into brain signals. The hollow shape of your ear canal makes it perfect for picking up and amplifying sound. Sadly, the “hollow” part also makes it a haven for dust, debris, and dead skin cells. Your ear has no way of getting rid of those particles, so bodies being pretty clever creations make ear wax as a way of getting rid of all those goodies. Ear wax absorbs the dead skin cells and debris, preventing them from being pulled deeper into the ear canal. Essentially, it’s your ear’s last line of defense! It prevents bacteria, germs, and dirt from getting into your sensitive inner ear. The waxy substance that is your ear wax traps and essentially suffocates the bacteria and germs that breed in your ear canals. Ear wax prevents them from spreading out of control, preventing infections in your ear. It collects dirt and slows bacteria growth. The sticky ear wax traps the dirt that blows into your open ear canal. 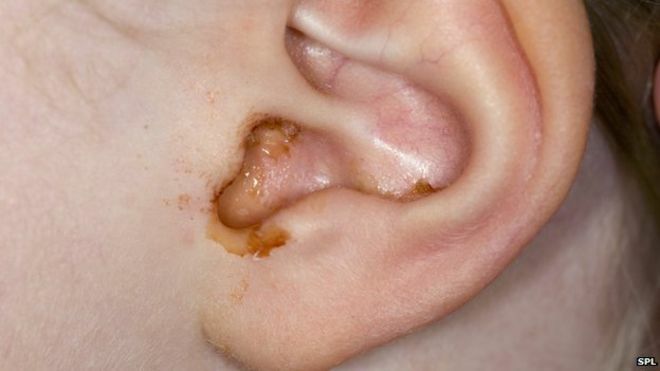 That way, the sensitive skin of your ear canal is safe from irritation and possible infection. It prevents bugs and insects from creeping in. Imagine if tiny creepy crawlies could get into your ear and lay their eggs. Ewwww! Thanks to ear wax, which repels insects (or traps the ones that try to get into your ear), your ears stay bug and insect-free! So we've established that in general ear wax is a good thing – but sometimes there is too much of a good thing. My kids have gross ears, as in they have way, way too much of a good thing. They firmly fall in the excess ear wax category. And guess what? It's a symptom not uncommon in people with Pyrrole disorder. It's directly related to the main deficiencies caused by Pyrrole – People who suffer from Pyroluria produce excessive amounts of these Pyrroles which bind to nutrients such as Zinc (1-7), Biotin 8, Vitamin B6 (1-7) and Omega 6 Fatty acids, inhibiting them from absorption and distribution in the body, rendering these nutrients unavailable. The Omega 6 GLA fatty acid is found to be very low in those with pyrrole disorder. Additionally, essential fatty acids such as EPA/DHA are also low due to increased demand and are also damaged by oxidative stress/free radicals/toxins created by pyrrole during the absorption process in the gastrointestinal tract. Ok, So How Do We Fix It? With supplementation, naturally! Quite basically you need to get more EFA's into the system. This can be done through traditional supplements as well as through diet. There is evidence that for individuals with Pyrrole supplementing with Omega 3's can actually cause further inflammation, so using things such as Borage Oil or Evening Primrose Oil works more efficiently. Many people (us included) take Flax Seed Oil or Hemp Seed Oil – we just add it to smoothies or over warm cereals. My 17-year-old just slams his down straight from the spoon. Both of these oils go rancid easily and need to be kept refrigerated. I've also heard of quite a few people being allergic to hemp oil so watch for any unusual reactions if you do try it. Foods you can eat to help naturally increase your EFA's are flax seed or Hemp Hearts (grind them right before use as they go rancid quickly with oxidation), Chia, Almonds, Walnuts, eggs, olive oil, green leafy vegetables such as broccoli and spinach. Whole grains are also a good source if you are not intolerant. If you aren't intolerant to fish (which I am – gives me lovely hives because I'm overly sensitive to the Omega 3's) then fish oils are excellent for boosting your EFA's – Cod Liver Oil, Salmon oil, and Mackerel are all great sources. I force myself to cook fish for the family on occasion as they don't have my sensitivity to fish and it's an easy way to boost their essential fatty acids. As a side note – in recent times there has been a lot of hullabaloo about fermented cod liver oil. We briefly went down that track and had a terrible time – the FCLO is very high in histamines and we all had adverse reactions. When I did more research I learned some other unpleasant things, so we stick to plain fish oils (or Krill Oil) and that gives us the best results. Obviously treating the overall condition with diet and supplements will take a bit of time so how do you deal with the immediate symptoms. I always know when it's time to ‘clean' the ears out in my house because they literally become hard of hearing and I have to repeat myself a lot. There is a lot of “I didn't hear you” going on. That, or with the wee people I can literally see the wax around the outside of the ears. Recently, my 17-year-old had an injury to his ear and when the doctor looked in his ears he said they were almost completely blocked off with ear wax. We went home and started a protocol which took us a few days but when we went for the follow up the doctor said his ears were clear. We used an ear cleaner spray in the morning. Used more intense ear drops at night to help soften the wax for a few days. We used ear candles for 3 days in a row (his ears were badly blocked). I know that the use of ear candles has fallen out of favor in the U.S. but they are still readily available and even recommended by pharmacists here in Australia – we purchased ours from our local chemist. I've used them on the children for over 15 years and we love them. The children regularly ask for them when their ears are feeling ‘stuffed up'. Continue to use the ear cleaner spray every few days for maintenance. As a child, I had chronic ear infections and was almost constantly on antibiotics up until about the age of 5. We know now, that antibiotics are a major cause of poor gut health – which unfortunately is one of the major precursors to most of my own health issues. That said I have done pretty much everything I can to avoid or minimize antibiotic use in my children. When it comes to sore ears at the first sign of pain I use these Nutribiotic Ear Drops along with essential oils (usually diluted lavender oil in a rollerball bottle or you could try this premade children's blend Ear Ease) on the skin behind the ears and touch wood – not one of my five kiddos has needed antibiotics for ear infection. A huge change from my own experience! My other tips for children who are experiencing a lot of ear issues is to try a gluten free (or grain free) diet along with reducing or eliminating dairy. Both of these food groups have been linked to issues such as dermatitis, candida overgrowth, ear problems and many other health issues. So if you've tried everything else an elimination diet might help uncover the source of the problem. I'd love to hear if you or your children have had similar experiences with your ears and if you have any extra tips or tricks to share drop them in the comments below! Subscribe to get your weekly meal plan by email as well as access to the resource vault and our newsletter.